How does the upcoming Rivian R1T electric pickup truck compare to a Ford F-150? Our buddy Sean Mitchell at AllThingsEV.info obviously must forecast the future. As we sit and ponder what would make a fantastic article, along comes the new video from Sean. We were just talking last week about a much-needed comparison between the Rivian R1T and a current pickup truck, such as the F-150. Lo and behold, Sean's terrific new video falls in our lap. As we recently reported, Sean has turned a new leaf in his video coverage and content. While he made his way into the business as a small side gig after becoming a devoted Tesla fan, it opened his eyes to the EV segment as a whole. Now, Sean is providing more frequent videos and including coverage of many electric vehicles, comparisons, events, unveilings, etc. We believe he does a stellar job picking topics that will appeal to and assist people in their EV-related endeavors. In addition, Sean's reports are heavily researched, detailed, and easy to understand. Not to mention the fantastic charts. So, what did Sean learn as he compared the Ford F-150 to the Rivian R1T electric truck? 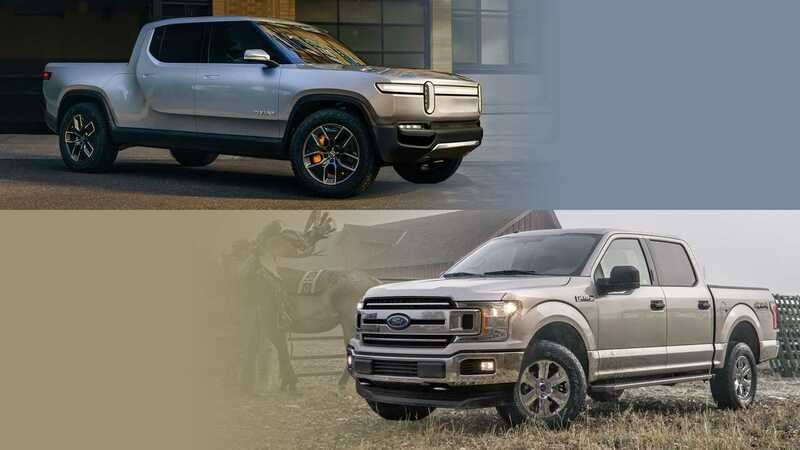 Keep in mind, the Rivian truck was specifically designed to appeal to one of two primary breeds of pickup truck lovers. This truck is not for the group that buys a truck only for the work aspect. Instead, it's for those who buy a truck for the versatility, power, and capability when they need it, but revel in the comfort, convenience, and tech features that make for a solid daily driver. Check out the video and share your thoughts with us in the comment section below. Ford F150 vs Rivian R1T: How do they stack up?